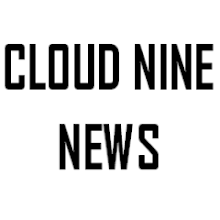 Cloud Nine News: ABC Cancelled Roseanne! Surprise! In what is undoubtedly the biggest surprise this season, ABC has decided to pull the plug on Roseanne, despite renewing the show for an eleventh season earlier this year, following Roseanne Barr’s racist tweets regarding Valerie Jarrett, a former adviser to Barack Obama. ABC’s entertainment president Channing Dungey, who is the first female African American to lead an American network called Barr’s statements ‘abhorrent, repugnant and inconsistent with our values.’ The cancellation is one of the biggest in recent memory. 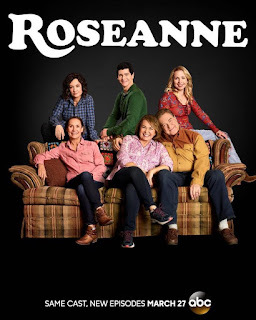 When Roseanne returned in March, it quickly became ABC’s highest rated show as well as the highest rated non-sports show on all American television. ABC had originally renewed the show shortly after its huge premiere and was set to anchor the network’s Tuesday line-up in its 2018-19 Fall schedule. The cancellation thus creates a huge hole in ABC’s schedule which ABC has yet to announce how they will fix. ABC is the only network to have three comedy blocks on tap for next season. One likely solution is using the mid-season comedy and Goldbergs spin off Schooled to anchor the Tuesday comedy block, in addition to ordering one of their many pilots which originally failed to gain a series order to series for mid-season. Barr’s tweets as well as the downfall of her show are equally disappointing because the show represented what is said to be one of the most underrepresented groups in America - Trump supporters - but more specifically, the blue collar working class. Roseanne in 2018 could have become the benchmark for conveying a political viewpoint which is largely ignored or ridiculed by the American media. No surprises here, there are people who support Trump, and as sitcoms are able to invite millions of Americans into the homes of families they may never interact with in the real world, Roseanne could have humanised republicans perspective of a working class family. Roseanne was on its way to become a great place for audiences from all walks of life to witness the effects of the ideas and conflicts which are driving their society apart. A recent episode dealt with Roseanne meeting her Muslim neighbours and finding common experiences for both of their families despite their different backgrounds. Sitcoms often function in a similar way by bridging the gap between audiences and TV families who represent them and their neighbours. I was pleasantly surprised by ABC’s move. The Disney-owned network decided to put morals over money and made the drastic decision to cancel their biggest show over tweets which were clearly racist. It is frustrating that hundreds of cast and crew members from co-stars to craft services discovered they had lost their jobs not because the show was cancelled due to low ratings which is common in the television industry, but due to the vile tweets from Barr. However, let’s not forget Roseanne’s track record. She had become notorious in recent years for her controversial and nonsensical tweets and ABC still thought it would be fitting to have such a figure return to their network. Ultimately, following the racist tweets in which Barr compared a black woman’s looks to the Planet of the pes, ABC’s head of entertainment and the only black woman running an American broadcast network, Channing Dungey would never be able to defend Barr’s actions when promoting the show to advertisers who pay to have their products advertised during broadcasts. How would Dungey sell a show off the back of Barr’s racism which echoes the historically racist idea that a black woman, resembles an ape? She could not and as a result, the show was pulled. It is always unfortunate when a television show is cancelled before it has the chance to reach its full potential. I do not recall a time when a network has pulled the plug on a show following a cast-members racist sentiments or so quickly following the event. Hopefully, the short Roseanne saga will become a cautionary tale for networks who are in business with potentially controversial figures as well as the stars of shows whose actions online clearly have a snowball effect on those they work with.